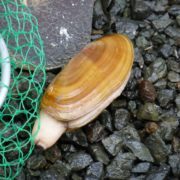 House Bill 1061, designating the razor clam as the state clam, moved out of the State Governance and Tribal Affairs Committee on Friday February 22nd. It now moves to the Rules Committee, which will hopefully move the bill to a vote in House. 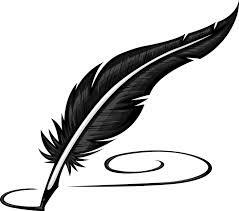 Please remember to write your legislators and let them know you support the bill! 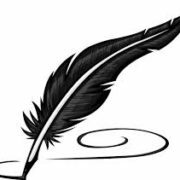 A new bill has been prefiled for the upcoming legislative session. The 105-day session begins Jan. 14. If passed, the razor clam, Siliqua patula, would join the ranks of the American goldfish, Walla Walla sweet onion, green darner dragonfly, and the orca as a state symbol. When Ella and Vernon Worthington passed away not long ago, both over 100 years old, the frugal dairy farmers left a largess to ocean environmental organizations – and their story as folks who grew up and married on the Long Beach peninsula near some of the best razor clam beaches in the world. 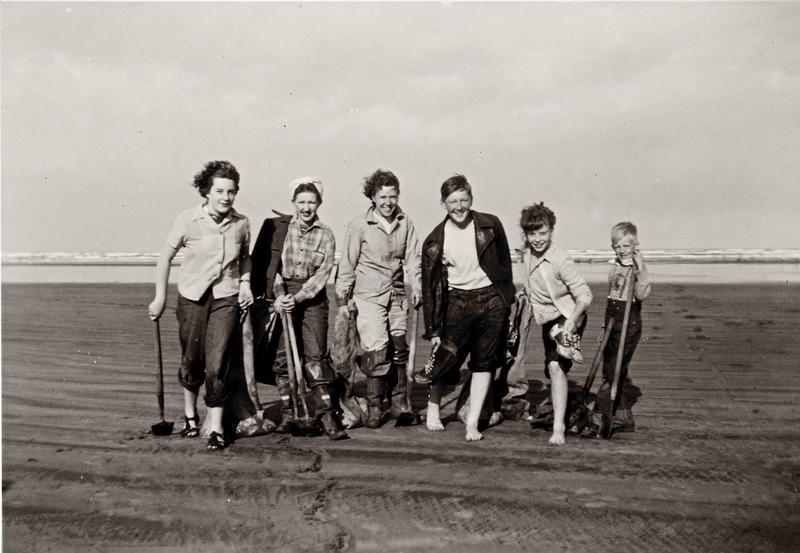 Their lives were unavoidably involved with razor clams and razor clamming. The ninth of 10 children, Ella moved to the Peninsula from West Virginia when she was five years old. She recalled digging “hundreds of clams” before going to school each morning but, even so, by ninth grade, her father told her she’d have to quit school and enter the local workforce to help the family make ends meet. This was Friday just before St. Patrick’s Day. The low tide was at 7:00 PM. I hit the beach at 5:30 PM and the sun was still high in the sky because daylight savings time had just started. So, no headlamp needed. Surf was calm and everybody remembered just why they like razor clamming so much. I was using a shovel. I found one clam right away, I could see its siphon level with sand. I spotted several others, but couldn’t put them in the net despite a substantial effort digging around with my hand. That was tiring. The clams were darned deep. Then I got dialed in. I had a limit within an hour. 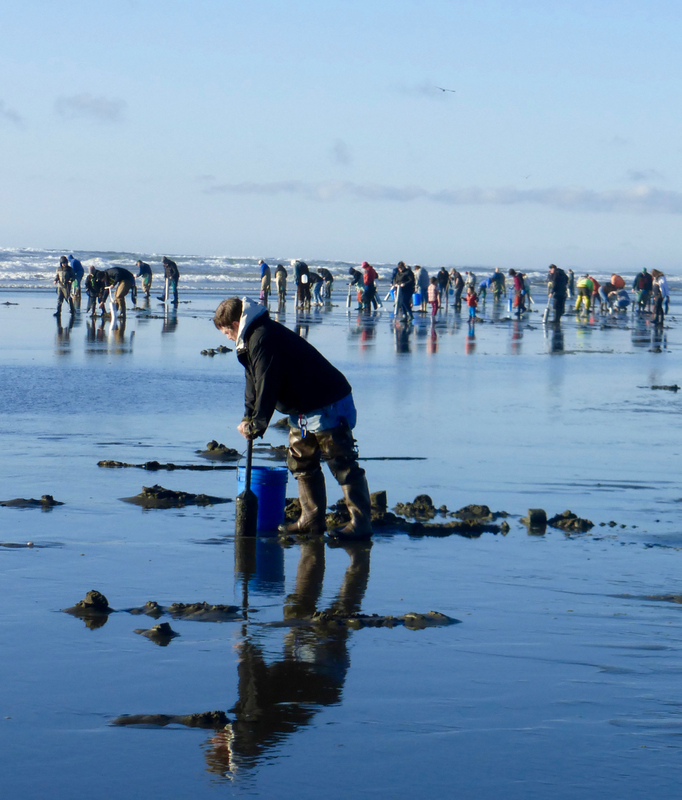 Fish and Wildlife counted nearly 2,000 diggers in the Copalis management area, which includes Ocean Shores and extends up to the Copalis River. 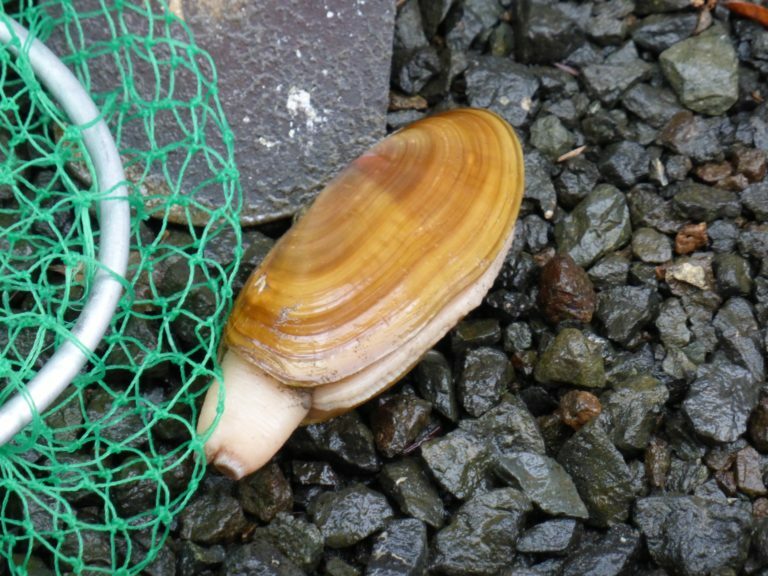 Nearly everyone had a limit, and some 28,000 clams were harvested. 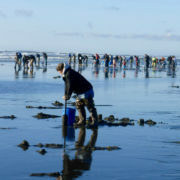 On Saturday there were about 3,200 diggers, and 47,000 clams harvested. 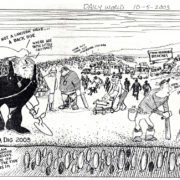 A lot of people can show up on a good clamming tide, as this cartoon captures. And a lot of vehicles! Bob McCausland was the artist. He cartooned at the Seattle Post-Intelligencer for decades before retiring to the coast where he continued to capture local foibles with pen and ink. This dig was at Twin Harbors. That location is somewhat notorious for fickle clams. It’s frustrating not to get clams when you know they are there. “Am I losing my touch?” you might wonder. 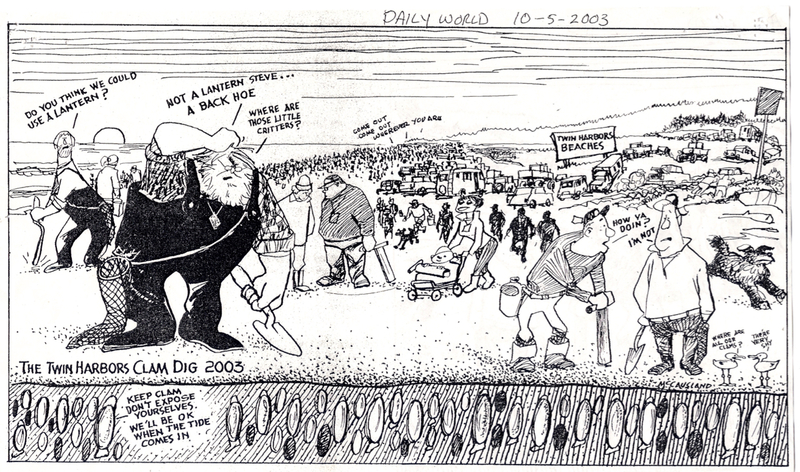 “Have I forgotten how to dig?” You pound the beach with shovel or tube, trying to force a show, but the clams are off partying. Guess that meal of fried clams will have to wait. 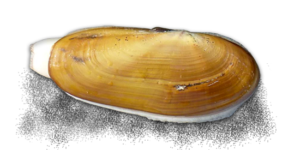 In recognition of the razor clam's importance for the state of Washington, we request that the legislature adopt the Pacific razor clam as the state clam! If the petition button doesn’t work for you sign here.